Surry Hills, New South Wales (December 10, 2014) – The upcoming New Year means a fresh start for many people around the world, and for lucky Australians, it can also mean getting the chance to finally have their very own home. Polkadot PR, a top PR Agency in Sydney, is proud to be City West Housing’s partner in getting the word out about its exciting $28m development in North Eveleigh which will launch 88 innovatively designed and affordable units by early 2015. “We are pleased to announce that we are now reviewing applications for the North Eveleigh Development, with the first tenants being able to move into their new homes early in the New Year,” said Janelle Goulding, CEO of City West Housing. Originally slated to produce 70 apartments, CWH’s design and construction team managed to exceed projections by 125%, ultimately delivering 88 units for the North Eveleigh development. The majority of the apartments are north facing, with some units offering their tenants city and district views. The built-in BBQ and seating areas in the integrated rooftop garden will be a great place for individuals and families to socialise and take in their surroundings while bonding with their loved ones and neighbours. 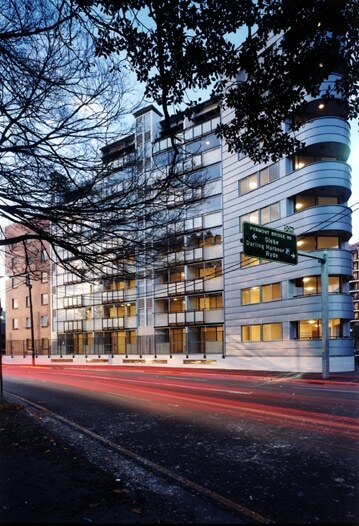 As one of the most respected PR organisations in Sydney, Polkadot PR is honoured to be working with City West Housing, one of the leading developers of affordable housing in Australia. For more information on how the agency can help your own brand’s voice rise and be heard in today’s market, please feel free to browse www.PolkadotPR.com.au. Under the leadership of former journalist Dionne Taylor, Polkadot PR has become a trusted Public Relations Agency in Sydney with almost 10 years of experience under its belt. The agency, with its team of professional PR experts, has worked with over 500 brands in beauty, food and beverage, home, travel, interior, and various other industries.